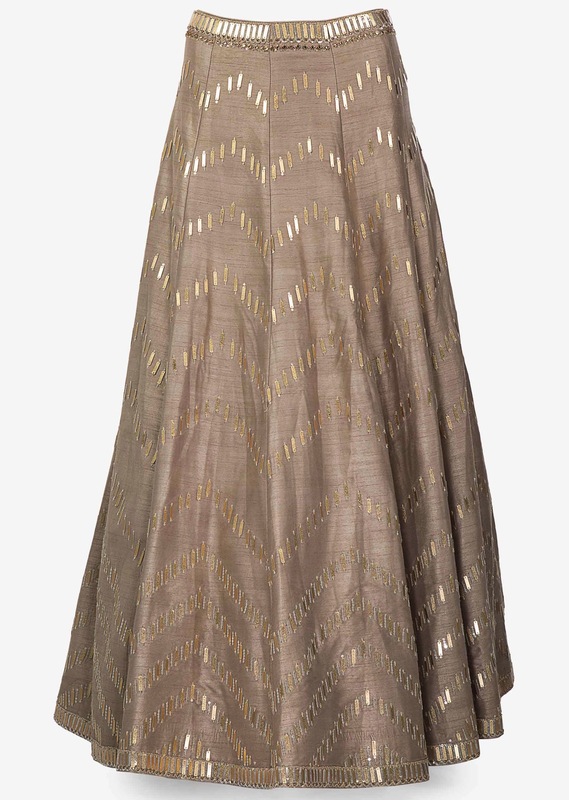 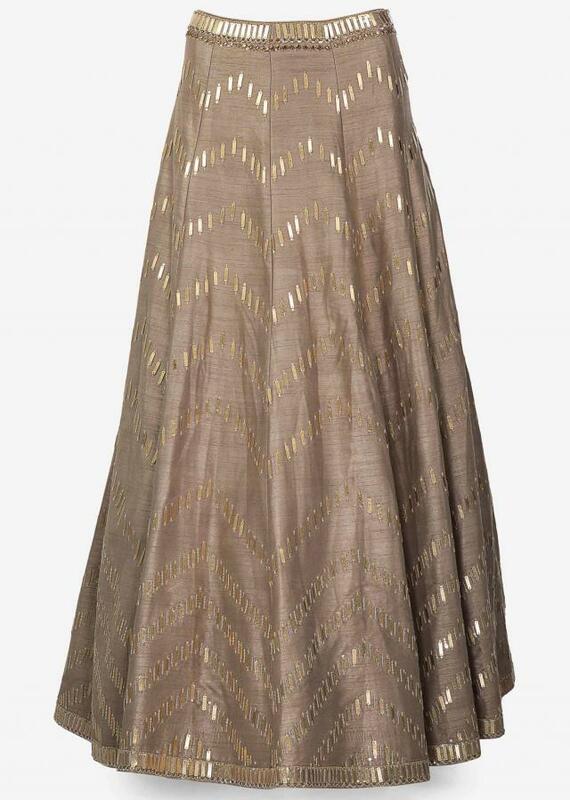 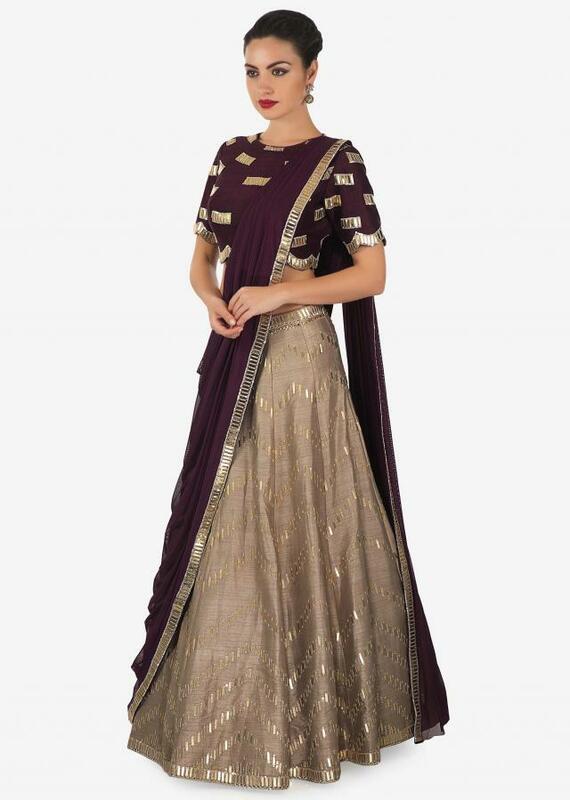 Beige lehenga featuring in raw silk. 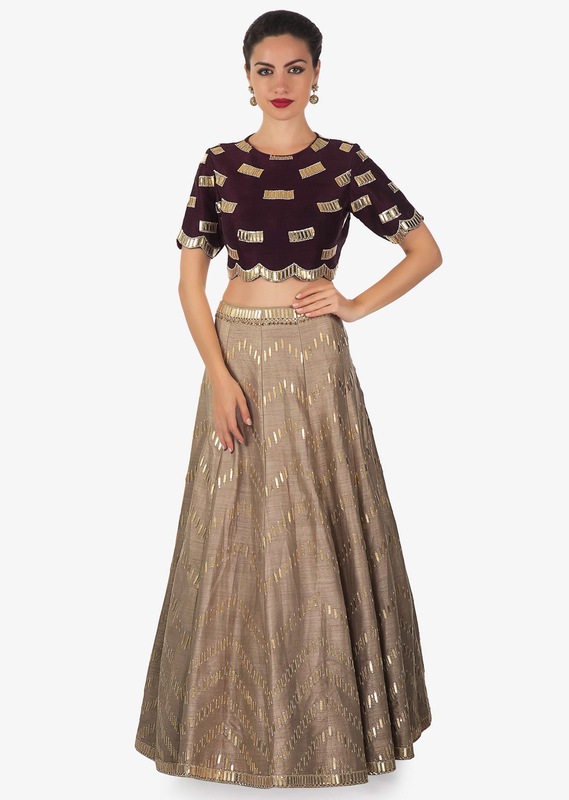 Its embellished in cut dana work. 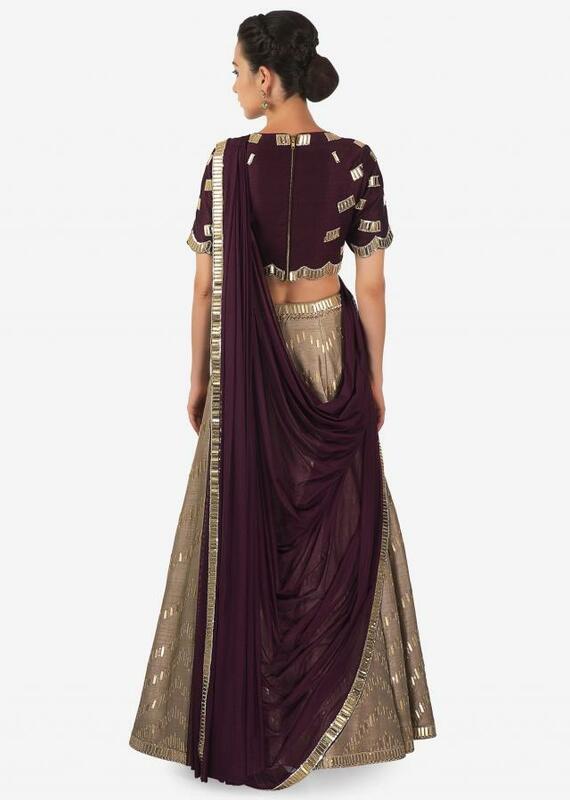 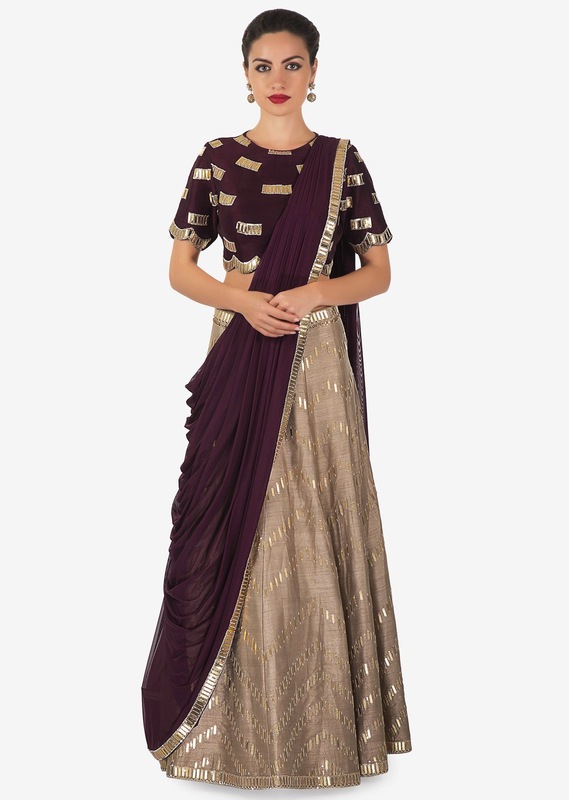 Matched with maroon blouse in raw silk and pre stitched dupatta in lycra net.